Vijay in Theri is an Emotional Cop. Home/NEWS/Vijay in Theri is an Emotional Cop. 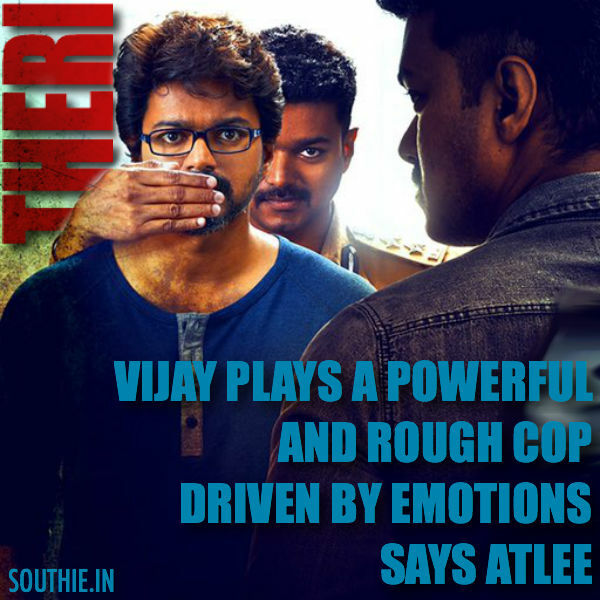 Vijay in Theri is an Emotional Cop who is also an Rough and Powerful Character. Vijay plays a rough and tough cop in Theri. But the Cop is driven by a lot of emotions. Vijay romances Samantha and Amy Jackson in this much awaited flick. Amy Jackson the hot sensation plays the heroine for the first time opposite Thalapathy Vijay. Samantha who is on a roll will be seen opposite Vijay after the blockbuster success of Kaththi.